World Graphic Paper - Bilateral Trade Data - Fastmarkets RISI - Objective Insight. Better Decisions. Analyze historical trends in world trade for each grade of graphic paper using Fastmarkets RISI’s World Bilateral Trade Data. Find out which producer country is gaining market share in global trade of graphic paper products. Benefit from Fastmarkets RISI’s comprehensive database that compiles discrete annual trade data from hundreds of sources into one convenient time-series database, starting from 1996. 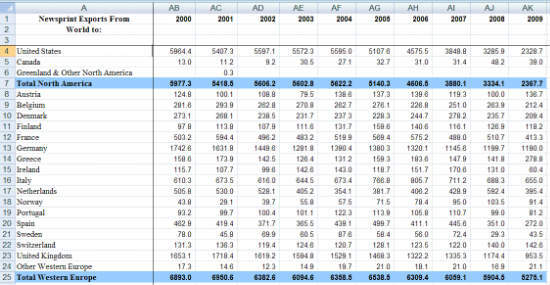 World Graphic Paper Bilateral Trade Data covers exports from the major producing countries to 62 destination countries.